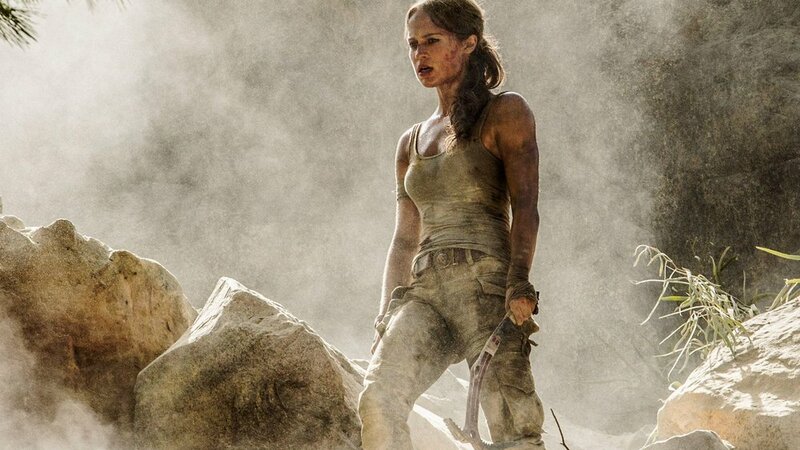 Warner Bros. Pictures and Metro-Goldwyn-Mayer Pictures have released the all new Tomb Raider trailer starring Academy Award winner Alicia Vikander! I've got a bad feeling about this one folks! Lara Croft (Alicia Vikander) is the fiercely independent daughter of an eccentric adventurer who vanished when she was scarcely a teen. Now a young woman of 21 without any real focus or purpose, Lara navigates the chaotic streets of trendy East London as a bike courier, barely making the rent, and takes college courses, rarely making it to class. Determined to forge her own path, she refuses to take the reins of her father’s global empire just as staunchly as she rejects the idea that he’s truly gone. Advised to face the facts and move forward after seven years without him, even Lara can’t understand what drives her to finally solve the puzzle of his mysterious death. Opening in theaters on March 16, 2018, Tomb Raider also stars Dominic West (Money Monster, 300), Walton Goggins (The Hateful Eight, Django Unchained) and Daniel Wu (AMC’s Into the Badlands). It is directed by Roar Uthaug (The Wave), with Oscar winner Graham King (The Departed) producing under his GK Films banner. Will it be good? Doubtful. But maybe! What do you guys and gals think? Let us know your thoughts in the comments section below. As always, thanks for stopping by Eastcoastmovieguys! Tomb Raider is set to hit theaters March 16th.